You will have noticed the increase in red sails recently as the DRSC Mirror fleet makes a comeback! 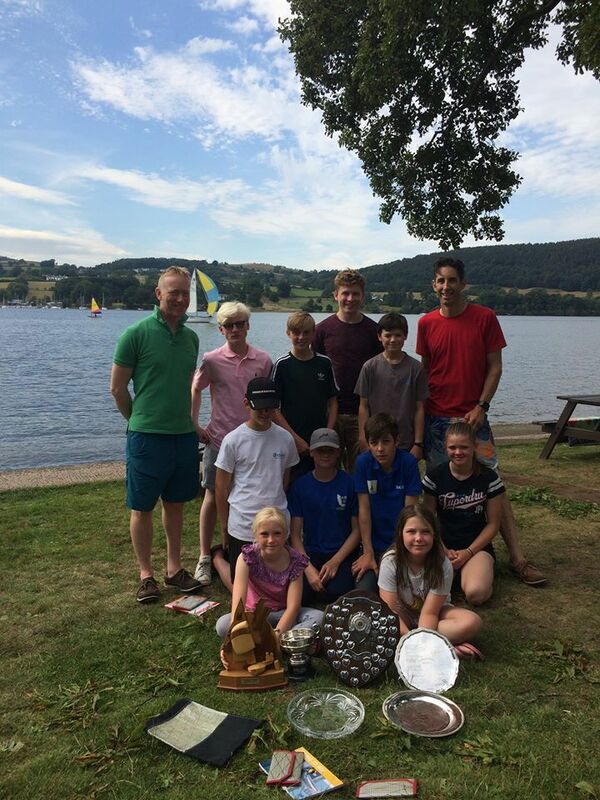 Six Derwent boats went to Ullswater to compete in the Mirror Nationals last week and put on an amazing performance, bringing in a large haul of silverware! Ed Coady and Abi Cowley came second overall, only a few points off becoming National champions, while Oscar Shilling and Patrick Beukenholdt won the B fleet. As a team they won the Club trophy for the highest placed three boats from one club. Well done team Derwent! The Mirror dinghy is a great family and junior boat. If you would like to learn more about sailing a Mirror, contact Dave Coady, fleet captain.